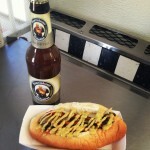 - You Sly Dog - | Southern Arizona's Tastiest Hot Dogs!! Welcome to the Dog House! It has been far to long but we finally have come through with the You Sly Dog homepage! A big huge “THANK YOU ” to everyone in the Tucson community who has shown their love and support for local businesses. We hope to continue to receive great feedback into 2014. Keep checking our website for scheduled events and promotions that you won’t to miss!